The Theory of Multiple Intelligences was developed in 1983 by Howard Earl Gardner and it was first published in his book Frames Of Mind: The Theory Of Multiple Intelligences. Its basis opposes the idea of a single dominant type of intelligence, and instead acknowledges the existence of multiple intelligences, that compose a unique blend in each individual. Despite its initially hesitant reception, the theory of multiple intelligences is now widely accepted in learning, providing a unique view of how people learn. Gardner explains that his theory empowers learners and doesn't restrict them to one modality of learning, allowing multiple ways to teach, rather than just one. According to the theory, there are seven leading intelligences: linguistic, logical-mathematical, spatial, musical, bodily-kinesthetic, interpersonal and intrapersonal. Gardner has recently added three additional intelligences, naturalistic, existential and pedagogical, but in this article I will focus on the original seven intelligences model, I will explain how it impacts eLearning, and I will show you how you can use it in your eLearning course development. As early as in 1983, Gardner had stated that “the potential utility of computers in the process of matching individuals to modes of instruction is substantial”. This statement has been verified by the distinct growth of eLearning, where creating eLearning activities that appeal to a variety of eLearning needs ensures that learners better understand the eLearning content in ways that are meaningful to them. In a recent Washington Post interview, Gardner also stated that the best way to take advantage of the theory of multiple intelligences is to first drop the term “learning styles”, which creates confusion, then individualize learning, suggesting a learner-centered approach, and, finally, pluralize learning by incorporating multiple methods into it, and not just one. This way, you can reach learners who learn in different ways. Now that you have an idea of how the theory of multiple intelligences impacts eLearning, let’s have an analytical look on how you can create eLearning courses that support all intelligences and keep all of your learners engaged by appealing to their unique blend of intelligences. Is the ability to analyze and express information through language, whether it is oral or written. Poets, writers, storytellers, lawyers, public speakers, translators. Linguistic learners find in language a natural way not only to understand, absorb, and retain the eLearning material, but also to accomplish their eLearning goals. Therefore, eLearning activities that include narratives, like storytelling and scenarios, or discussions, like online discussions, are ideal for such learners. Furthermore, links to relevant resources such as eLearning blogs and articles that include additional information concerning the subject matter may be particularly helpful. Is the ability to recognize patterns and structures, as well as to analyze and solve abstract problems logically and scientifically. Logical learners enjoy problem solving. This is why eLearning activities that include logical reasoning tasks, graphics such as Venn diagrams, charts, or tables, as well as critical thinking branching scenarios, where your learners are required to find the answer using a series of clues, can significantly help them to analyze information in a logical manner, and thus easily memorize it. Is the ability to perceive and analyze objects in space, as well as to recognize and use visual cues, such as images. Artists, architects, sculptors, engineers, pilots, sailors. Visual learners respond well to color, images, illustrations, and graphics, as well as games and multimedia that are visually appealing. Consider integrating these elements into your eLearning course, and you will be able to automatically engage your visual learners. Is the ability to recognize, compose, and perform different patterns and rhythms of sound and music. Musicians, composers, conductors, opera singers, professors of music. Musical learners think and learn in terms of music, which means that they respond particularly well to eLearning material that includes music and sound, such as multimedia presentations with audio. So, why not consider creating an immersive experience for musical learners via the use of music that emphasizes on the subject matter? Is the ability to use one’s own body as a means to problem solving; here, mental abilities coordinate with body movements. Athletes, doctors (particularly surgeons), dancers, physical therapists. Kinesthetic learners learn by doing; they are more easily engaged when given the opportunity to explore virtual environments and do activities that require physical involvement, such as drag and drop interactions, eLearning games, and simulations. Include several interactive methods and techniques to encourage kinesthetic learners feel, touch, move, and manipulate objects. Is the ability to recognize and understand the feelings, intentions, desires, and motivations of other people; consequently, the ability to work effectively with others. Educators, politicians, counsellors, religious leaders, psychologists, vendors, trainers. Social learning is by far the most effective way to engage interpersonal learners, who really enjoy learning by collaborating, interacting, and building relationships with their peers. Encourage them to exchange ideas and share their concerns in online discussions in and out of social media, and ask them to make decisions while putting themselves in someone else’s shoes in scenario-based activities. Is the ability to recognize and understand one’s own feelings, intentions, desires, and motivations. University professors, philosophers, high status professions in general. Intrapersonal learners focus on the internal aspects of learning; therefore, they are more likely to be motivated when asked to think how to apply what they are learning to their own lives. Scenarios that offer real world benefits is ideal for them, as they become more engaged when introspecting and reflecting. Moreover, don’t hesitate providing your intrapersonal learners with material for further private study, as it will help them gain a sense of what they want to achieve or what are the mistakes to avoid in their personal or professional lives. Now that you know about multiple intelligences in eLearning and how it impacts your learners, you may be interested in knowing about Multiple Intelligence-Based Activities in eLearning. 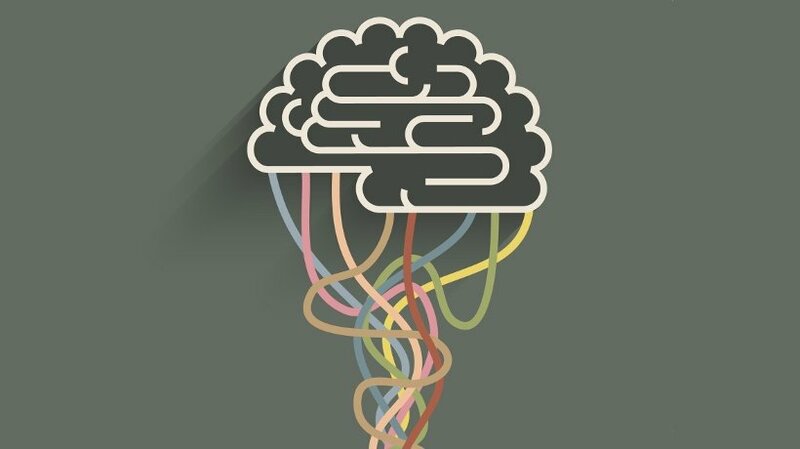 In the article, How Multiple Intelligences Theory Can Be Implemented In eLearning, you will find the different ways in which Multiple Intelligence Theory can be implemented in eLearning to help the learner effectively acquire, retain, and utilize the information being provided within the eLearning course.